Application packets are currently being accepted through Thursday, June 20, 2019. Application packets are currently being accepted through Tuesday, July 16, 2019. Application packets are currently being accepted through Monday, September 16, 2019. Application packets are currently being accepted through Friday, December 13, 2019. 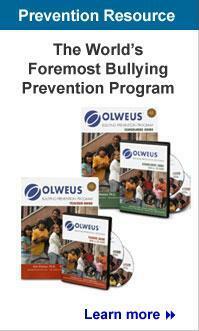 Periodically, Clemson University offers a Trainer/Consultant Certification Course (TCC) for qualified individuals who are interested in becoming a certified trainer in the Olweus Bullying Prevention Program. Often, these training sessions include individuals from all over the country. Sometimes, we conduct TCCs to certify trainers and consultants mainly for an individual state. If you are interested in becoming a certified OBPP trainer, please review Requirements for Trainer Certification. For questions, call 864-656-6271 or email june2@clemson.edu. The price does not include costs associated with your travel, lodging or meals associated with either training session. If you would like to discuss the possibility of holding a TCC in your state, please contact Jane Riese, Associate Director of Safe and Humane Schools, 717-870-7992; jriese@clemson.edu.